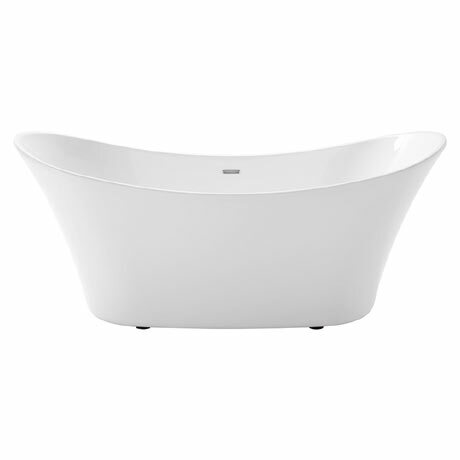 The Luxury Heritage Penhallam free-standing double ended contemporary slipper bath. Heritage's luxury bath collection contains some of the most beautiful bath designs available today. If you want to make a statement with your bath design, then choose from our quality collection. Made with double skinned Acrylic. Manufactured to the highest standards and guaranteed for 25 years. Chrome clicker waste and overflow is included. Use with freestanding bath taps only.